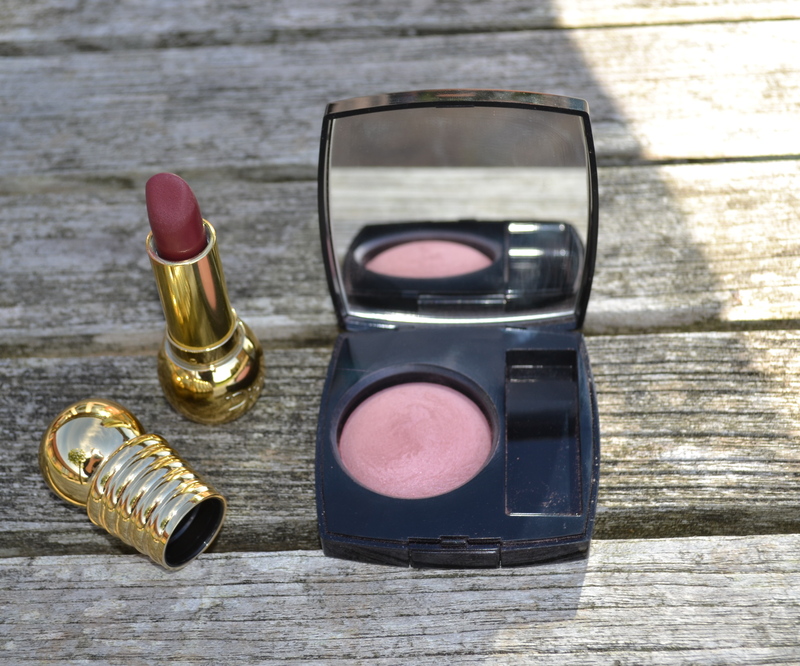 This month’s favourites are mostly about re-discovering old faithful with a very new exciting lip thrown in. Aesop Primrose Facial Cleansing Mask: I have a whole review of this product here, but as you can tell from the packaging this is a very much loved little glass pot. I’m sure if it’s because I’m stressed or I’ve been eating too much sugar or just because of the change in season but I’ve been really breaking out with those nasty sore red spots this month and this mask has really helped in calming those areas down. 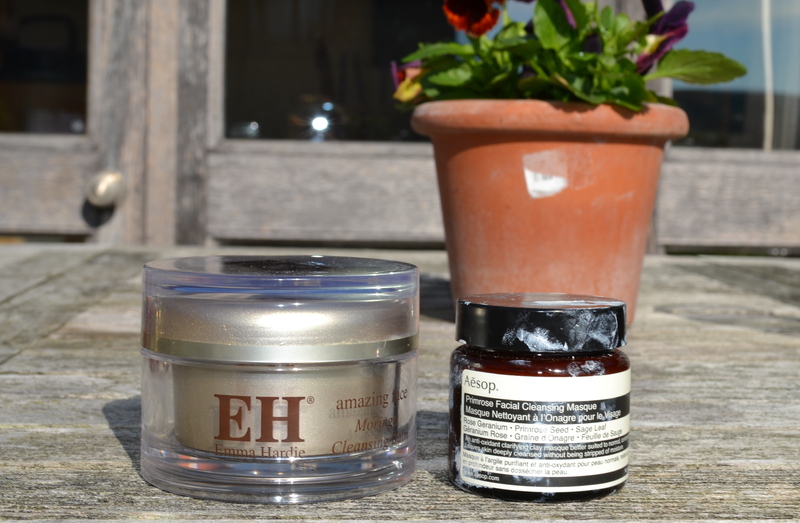 Cleansing Emma Hardie Moringa Balm: An oldie but such a goodie; I’ve gone without this cleanser for too long and re-purchased my third tub at the start of the month. When I started using it again I remembered why I loved it so much. It melts make-up away but I prefer to use this as a second cleanse really spending my time massaging it in and reaping all the benefits of the active ingredients like sweet almond oil, jasmine rose and of course the moringa oil. Yankee Candle in Honey and Spice: I’ve used the start of September as an excuse to start burning my more autumnal candles and I loved this one from Yankee last year so much I bought it again. I find most Yankee candles too synthetic and sweet for my taste but these balances its sweet and spicy notes really well and the smell lasts for hours after burning. Chanel Joues Contraste Blush in Rose Ecrin*: This month, I’ve veered away from the corals and peachy tones I’ve loved over the summer and have been favouring this lovely neutral, perhaps leaning a little cool-toned pink blush for that healthy country walk glow. This is such perfect everyday no brainer blush for me I love it on its own with no bronzer or highlighter for a velvet finish on the cheeks. Dior Diorific Lipstick in Diorama: I was lucky enough to be given this by my friends on my birthday at the start of September. Firstly let’s just take a moment to discuss the packaging, totally over the top and maybe just the tiny bit rude! (do you see what I see?) This is lipstick made to be seen and I have loved pulling it out in bathrooms across the capital. The formula is meant to be matte by its not as matte or drying as a MAC retro matte for example. This applies smoothing across the lips instead to dragging. In my personal opinion I would say this is a satin. 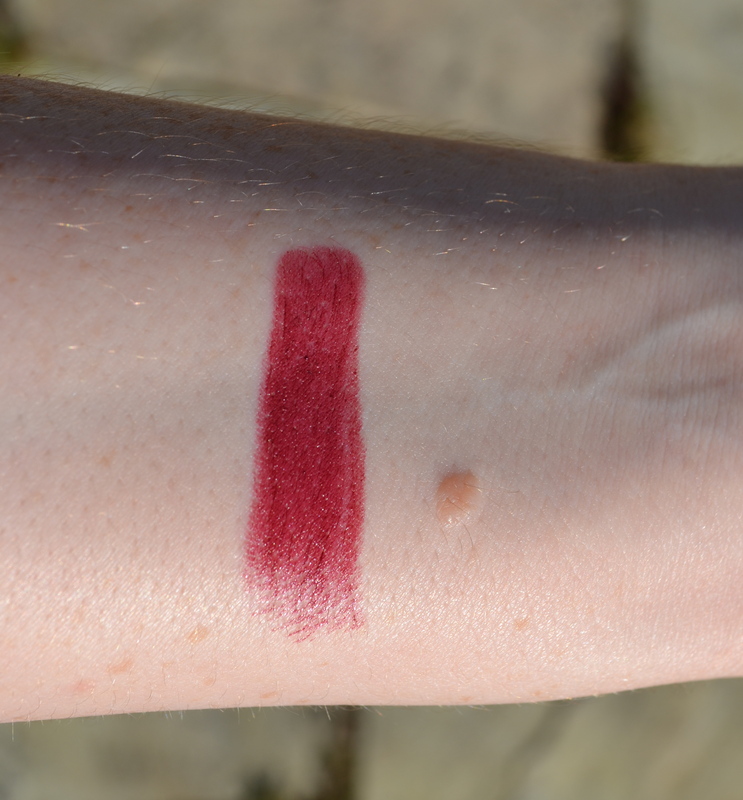 The colour is beautiful and perfect for autumn, a rich berry red that you can either wear softly patted in over balm for a bitten look or direct from the bullet for a full on lip. I have been wearing this with MAC’s burgundy lip-liner. Dior Diorific Lipstick in Diorama Swached. Bobbi Brown Eyeshadow in Grey and Eye Definer Brush. 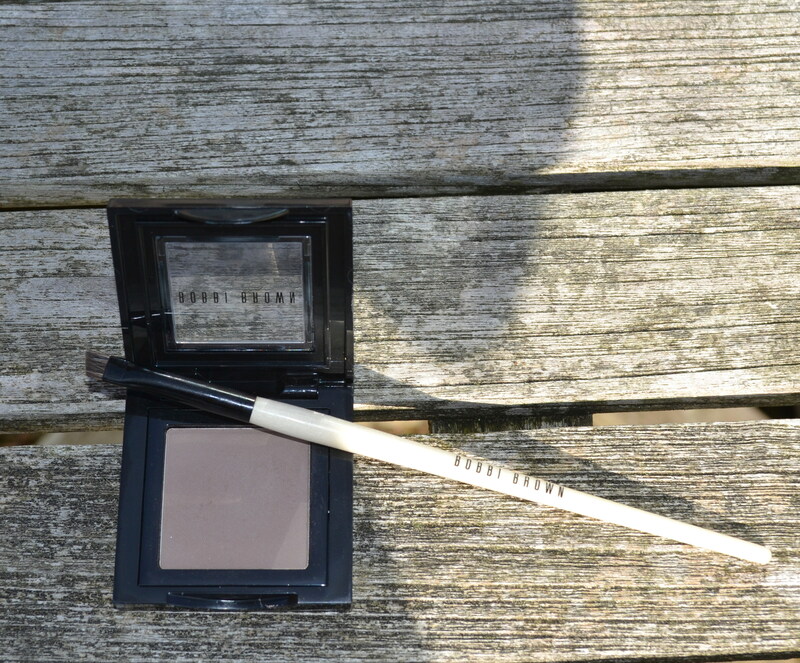 Bobbi Brown Eyeshadow in Grey and Eye Definer Brush: I wrote about these two new purchases in my last post, my eyebrow routine. I think I have found the perfect everyday brown powder for me very cool toned and natural yet you can build the colour up easily for more of a statement brow. Have you tried any of these products? What are your September Favourites? 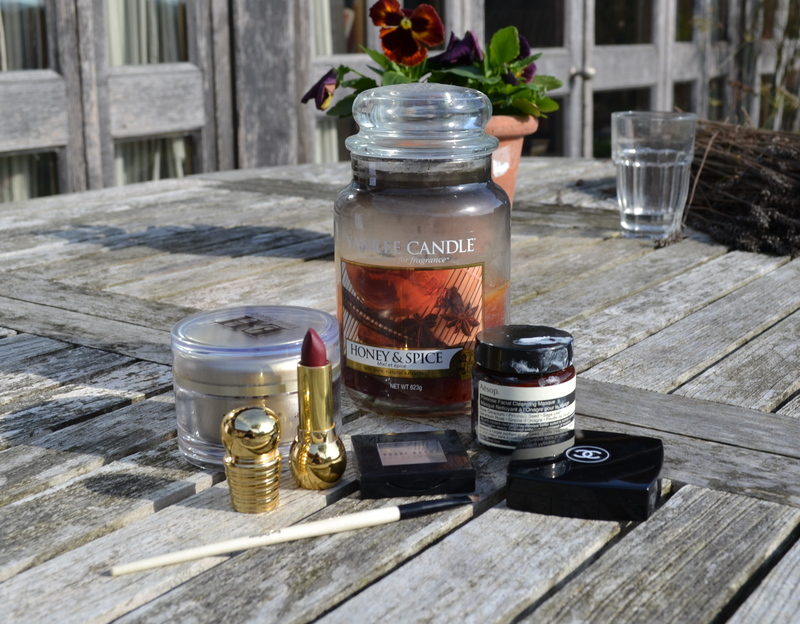 This entry was posted in The Favourites and tagged aesop, bobbi brown, dior, emma hardie, yankee. Bookmark the permalink.